Kenya prides as one of Africa’s leading commercial and innovation hubs, thanks to technological innovations that impacts lives across the world, a factor that has earned it a place among leading innovative countries in Sub-Saharan Africa. The Global Innovation Index 2017 ranked the country third most innovative after South Africa and Mauritius. However, despite missing in the list of world top ten innovative countries such as Switzerland, Sweden, the Netherlands, USA and the U.K., the East African country has developed an ecosystem of more than 10 incubation centres to spur innovativeness. Of concern is that of the startups fail to grow up to commercial levels. Why? According to Precious Amagbu, a former student at Port Harcourt who’s currently a researcher and Engineer in Nigeria, most African startups perish due to lack of or limited knowledge about funding opportunities. “They know little to nothing about funding opportunities available to them within and abroad. Yes, I know that compared to what is provided in the West, our available options are sad, but it is folly not to know what you have on ground,” she says. Her sentiments are supported by Agosta Liko, a Kenyan startup who founded PesaPal, an online payment system. He resigned from his job in the U.S. to run the company in his native country Kenya, but lacked enough seed capital. Rather than strain looking for venture capitalists for funding as other startups commonly do, the techie bootstrap to support his business idea. “I used my knowledge on computer software to service computers for clients as I raised seed capital for the business,” he says. Since he was only armed with a potentially viable business idea at the time, Liko opted to approach an angel investor, who would finance his idea without expecting any financial benefits in return, in place of a venture capitalist. The strategy, he says, was to enable him have enough money to fund his business, as well as personal needs and gain more experience before taking on the company at the opportune time. Unlike in the West where several institutions, philanthropists and successful business owners are willing to support brilliant ideas, developing countries like Kenya have few such avenues. 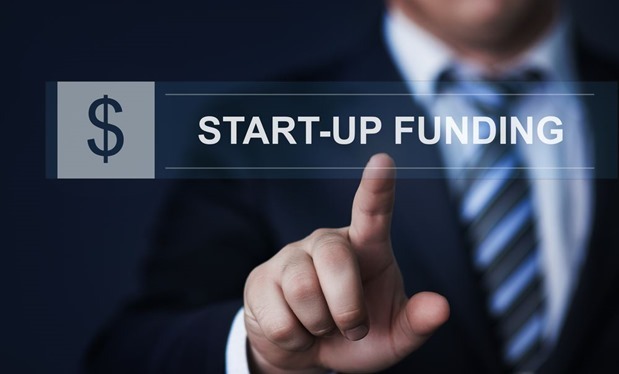 And the government is keen to channel most funding to its development projects, a factor that should convince startups more to use their skills to generate seed funding to grow their businesses. Boniface Mutegi, a final year student pursuing Technical and Applied physics at the Technical University of Kenya has had the same financial hurdles on his path of invention. The student, through coaching by his lecturer Prof Jackson Odote, has developed a prototype of an exam cheating detector, a gadget that detects mobile phones sneaked into examination rooms. But despite his lecturer seeking intellectual property rights to the innovation at the Kenya Industrial Property Institute (KIPI), and marketing the idea to the country’s Ministry of Education, limited funding opportunities have come knocking on their door. The student and his lecturer have, however, sworn to develop the product to commercial heights. “My vision is to see the mobile detector through to commercial viability, creating an impact in schools,” Mutegi told this publication in a recent interview. Besides access to capital, Amagbu says startups are ignorant of the importance of planning. Everyone is so tired of suffering that they want to hit a billion dollars in 3 months, she says. Too many successful businesses took decades to grow; they failed several times in many instances to realize success. It took Keroche Breweries, for instance, more than ten years to rival multinational brewers in Kenya, with the business’ founders Tabitha and her husband Joseph Karanja starting off from their matrimonial home in 1997. This was mainly through identifying and sealing market loopholes uncovered by their multinational competitors, planning properly and working hard to realize their business dreams. “Our research showed that drinking patterns within the middle level and low-income earners segments of the market was under-served by the already established liquor manufacturers,” the firm reports in a statement. The company identified the needs of the locals, who were underserved by the multinational firms, to grow the multibillion shilling first Kenyan-owned beer manufacturer, a factor most local startups fail to consider in their ideas. According to Amagbu, most African entrepreneurs look to the West to understand how to penetrate into the market, instead of looking at big players within Africa, or the East. Why? Challenges in some Asian countries are similar to Africa’s, she says. It’s common norm for local startups to benchmark their ideas to those of the West, with most having the idealistic idea that whatever they create will be the next Facebook or Whatsapp, an issue that promotes ‘copy and paste’ approach to business. Such an approach, Peter Kinuthia, Director in KPMG Advisory Services Limited said, floods the market with the same ideas which soon fizzles out due to serious competition from experienced businesses. “It is essential for entrepreneurs to lay out a comprehensive plan on how they want to grow their businesses to the next level. More important, they must come up with unique ideas or develop the existing to survive,” Kinuthia advised. However, comparing intra-Africa startup growth rate, Wilson Kageni, a Kenyan startup and co-founder of Finplus Group, draws attention to Kenya and Nigeria. The co-owner of the mobile financial solutions provider says market size is an essential factor to the growth of startups. “We could say Nigeria is doing better in terms of startup performance since the country has a larger market size. Larger market gives startups wider range of clients seeking their services and products. This spurs growth,” he says. Access to proper infrastructure, he says, is also lower in developing countries compared to the developed. It is for some of these factors that despite Kenya’s ranking as one of Africa’s leading technology hubs, some of her startups have failed to succeed.